SKU: 20127005. Category: Bracelet, Commemorative. 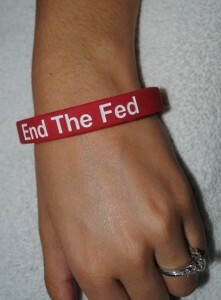 Help Ron Paul END THE FED and support him with our highly popular RED color debossed wristband. 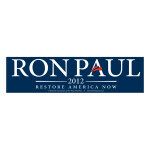 Printed with the words “Ron Paul 2012″ on one side and “End the Fed” on the other. Make a statement for honest money and upholding the Constitution with this bold emblem around your wrist.